A cynic might suggest this man washes his hair with a catnip-infused shampoo. We prefer the obvious: This cat is in love. And he isn't afraid to show it. 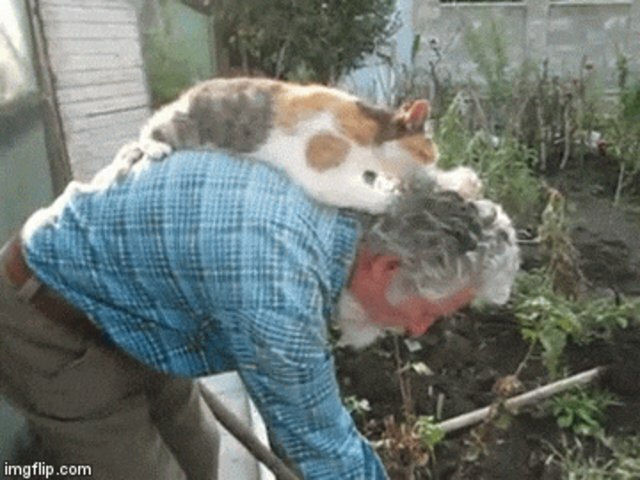 This is a love so deep and pure that the cat really doesn't care that his human friend is busy working in the garden. Weed-whacking, seed-planting, garden-mucking? None of that will stop this feline from giving affection. We don't know much about this video - it was posted on Facebook by Silvia Saca of Moldova back in 2013 - except that it speaks of love in a time of coriander. Or cauliflower. Or whatever this man is so earnestly harvesting. And his patience for his most adoring of fans appears infinite. He just wants to get some gardening done. 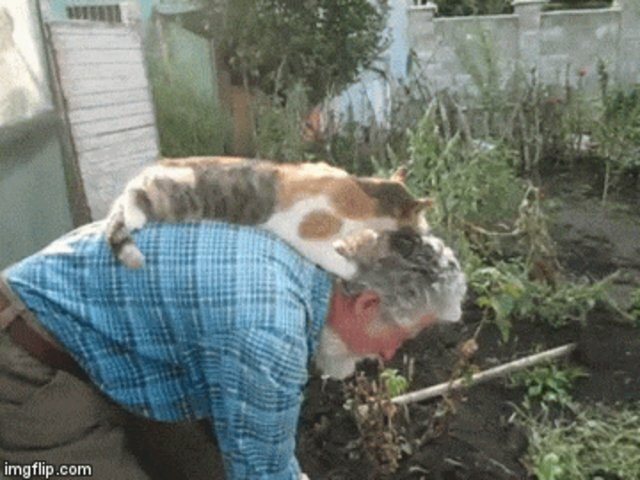 Kitty, on the other hand, is frolicking in his own kind of vegetation - the follicular foliage of his owner's head. And, really, the video demonstrates an important tenet of any relationship: Even when you're busy, you have to make time for those you love.